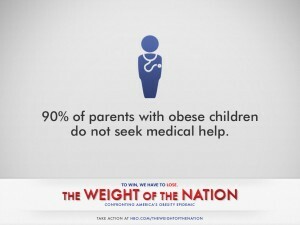 In the United States, over 30% of children are overweight or obese. According to a recent UCLA study, Patchwork in Progress, overweight and obesity rates are about 35% for 5th, 7th and 9th graders in Ventura County. This excess in weight puts these kids at risk of developing serious health problems, including diabetes, heart disease, and asthma and is an ongoing public health concern. If we don’t solve this problem, one third of all children born in 2000 or later will suffer from diabetes at some point in their lives. Many others will face chronic obesity-related health problems like heart disease, high blood pressure, cancer, and asthma. 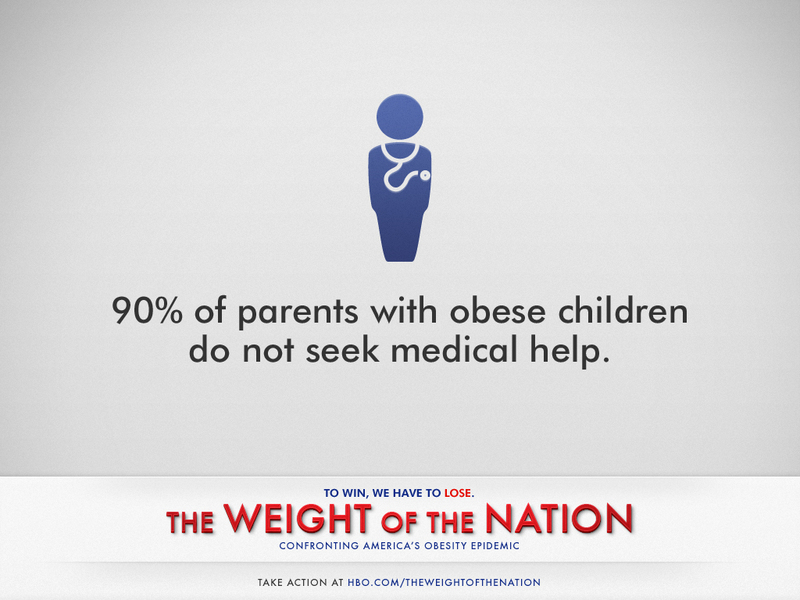 If your child is overweight, you need to make changes and your child needs help — as soon as possible. 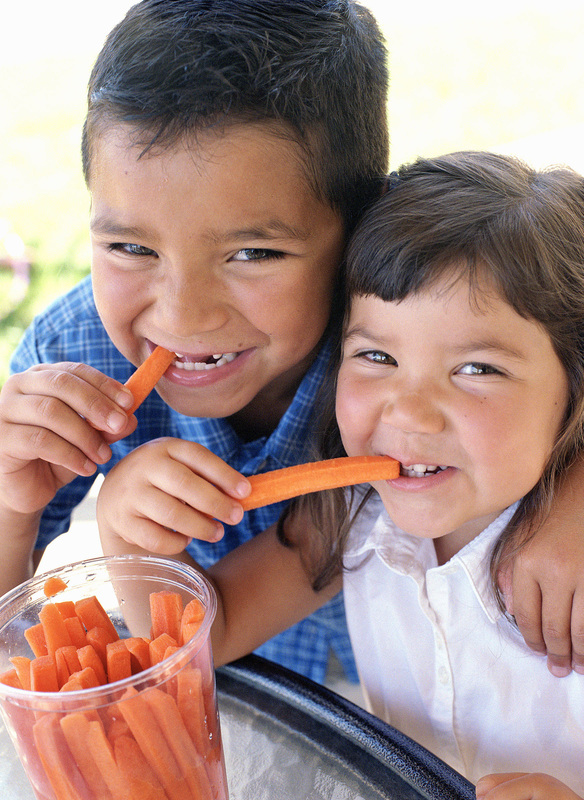 Good diet, physical activity, and healthy sleep patterns all have a role to play and can help your child reach and maintain a healthy weight. How Does a Child Become Obese? When you eat more calories than you are burning off, your body lays down fat. If you take in slightly more calories than you burn off every day, your body fat levels gradually increase and eventually you end up overweight. We are much more likely to become overweight if we eat processed and junk foods and if we are not physically active. Obesity doesn’t just happen overnight – it’s usually the result of a very gradual increase in weight that eventually reaches harmful levels. In a few rare cares obesity may be caused by a medical condition or genetics – but on the whole obesity is usually the result of unhealthy lifestyle choices. 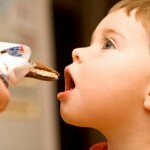 What are the Health Problems for Overweight & Obese Children? 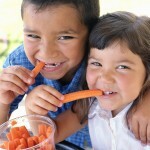 Overweight and obese children are more likely to become obese adults. The health problems faced by overweight and obese children are serious – illnesses that we once thought were linked with older people, such as type 2 diabetes, are now being seen in kids. Carrying around excess body fat puts a real strain on a child’s body. This can cause high blood pressure, type 2 diabetes and breathing problems. Obesity has also been linked to the early onset of puberty in girls, which means that they may face extra psychological problems as their body changes differently to their friends. Childhood obesity also takes an emotional toll. Children who are overweight often suffer from social exclusion and are frequently bullied. They may also suffer from depression and low self-esteem. 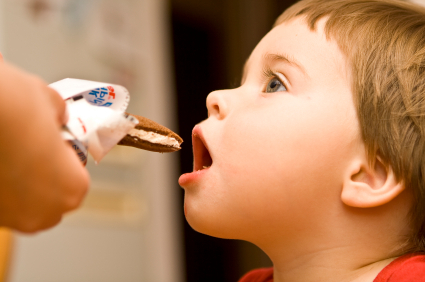 Perhaps the biggest health problems for children with obesity will come when they reach adulthood. Obesity increases risk for a range of adult diseases, including heart disease, stroke & cancer. Luckily, in most cases, childhood obesity can be beaten. The first step is to recognize that you have a problem. Be extremely sensitive about the issue, as you don’t want to give your child a complex about their weight. Don’t panic about the issue, and wait for a medical assessment before taking drastic action. Your child’s health care provider will measure your child’s weight and height and calculate the Body Mass Index, or BMI. Ask your doctor, physician’s assistant or nurse practitioner to tell you your child’s BMI percentiles and explain the results. The Ventura County Child Health and Disability Prevention (CHDP) program has information about free health and dental check-ups for eligible children and teens. The BMI is calculated by taking the body weight and dividing it by the square of the child’s height. This number is then plotted on a growth chart that shows percentiles – these are representative values for children of the same age and gender. A BMI percentile between the 5th to 85th percentiles is considered healthyl. If your child plots between 85th and 95th percentiles, he or she may be overweight and further assessment may be needed. A child with a BMI greater than or equal to the 95th percentile may be considered obese. 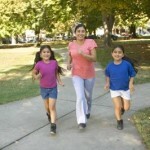 You may check your child’s BMI using the CDC BMI Percentile Calculator for Child and Teens. The BMI is only an indicator of potential weight problems – it does not measure body fat. It is widely used in health care because it is easy, inexpensive and non-invasive. If you have found out that your child is overweight or obese you need to take action now – don’t waste time feeling guilty. Show some solidarity with your child and try to improve the lifestyle habits of the whole family – even if you are not obese yourself, you’ll certainly benefit from being more physically active and having a healthier diet. 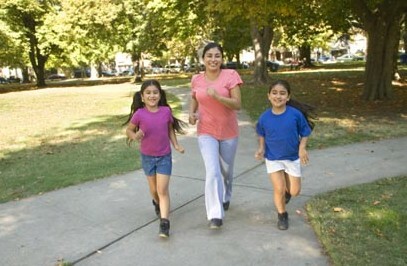 Children need to be active for 60 minutes every day to be healthy. This may sound like a lot but your child doesn’t have to do it all in one go – they can make up their 60 minutes progressively throughout the day. If your child is not used to being energetic you will have to start slowly and build up the amount of activity and intensity over time. Be realistic with your expectations – a child that is used to playing on their X-box all weekend is not going want to start playing soccer 5 days a week. Try to limit the amount of screen time your family gets – this includes computer games. Limit computer games to weekends only and set a strict time limit on them. Instead of watching TV try to encourage some activities that the whole family can enjoy together a game of Frisbee, a bike ride, digging a veggie plot. With a change in lifestyle and family support an overweight child can conquer their “weight problem”. The key to it is be supportive, consistent and firm, but above all be positive.